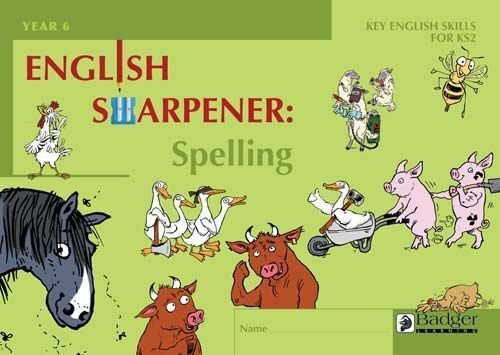 Accompanying the highly successful English Sharpener Spelling book, this engaging 48 page workbook is perfect preparation for the Year 6 SATs English spelling test. This full colour resource specially designed for Year 6 pupils taking the KS2 National Test for spelling is full of fun and engaging activities that ensure your students are laughing and learning with old friend Eggstein, the chicken genius. Pupil Workbooks are ideal for use in literacy lessons in the classroom or at home, ensuring pupils develop these key skills for the test. This book can also be introduced in Year 5, laying the foundation of essential English skills to build upon in Year 6.